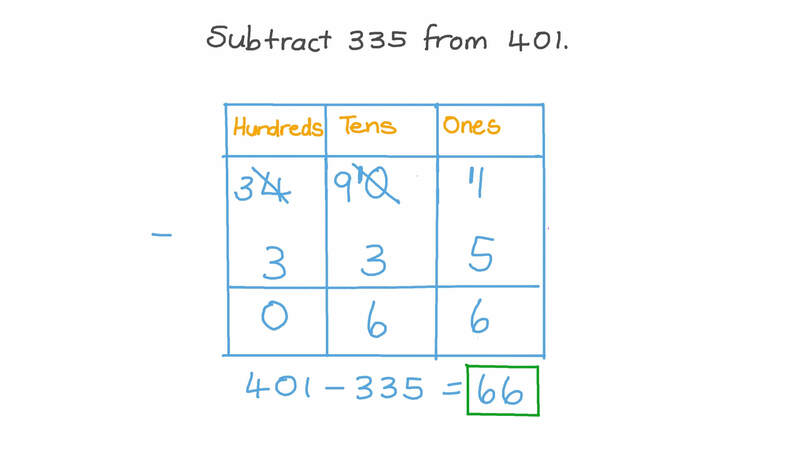 In this lesson, we will learn how to subtract three-digit integers across zeros and apply this to real-life situations. 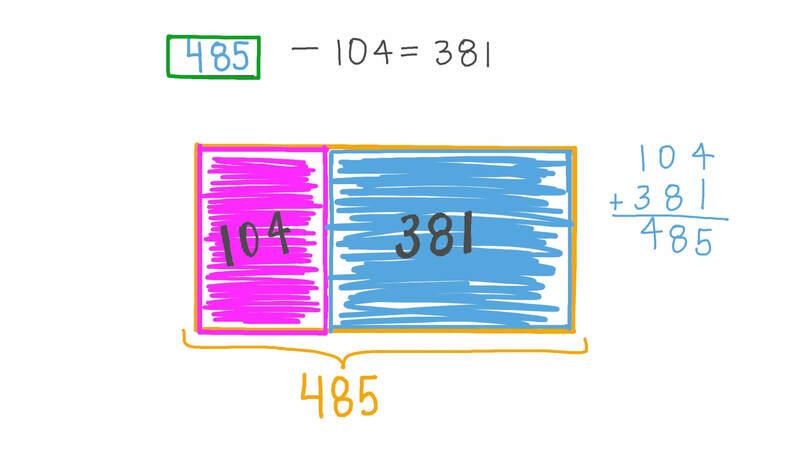 − 1 0 4 = 3 8 1 . 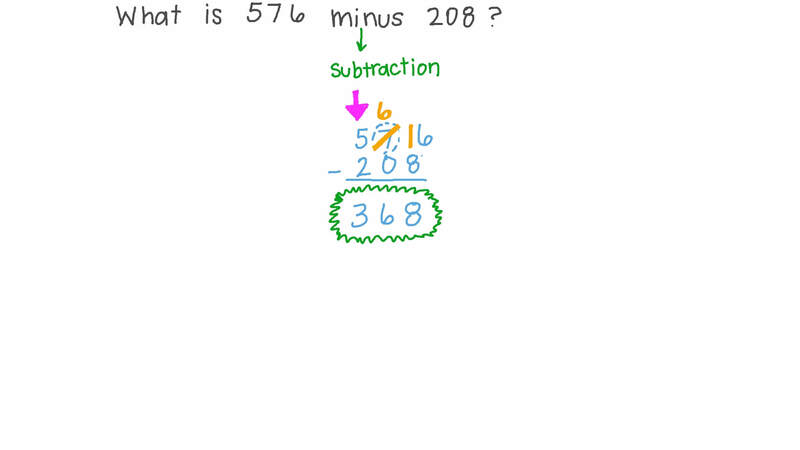 What is 576 minus 208? 8 5 − 4 = . Find the difference between 871 and 319. A school has 460 students. 282 of them have paid to go on a school trip. How many students are not going on the trip? 5 0 0 − 3 8 7 = . 6 0 3 − 1 2 4 = . 2 0 7 − 1 9 6 = . What is 716 minus 109? Find the difference between 607 and 291. 8 0 9 − 5 = .